Send us a quick message and let us know! Make a quick selection of our shredding material options or see all of our machinery overview. Make a quick selection of our briquetting material options or see all of our machinery overview. Need support? We will find a solution. With the housing market on the rise once again, so is the need for lumber. That’s where Southern Lumber & Millwork comes in. 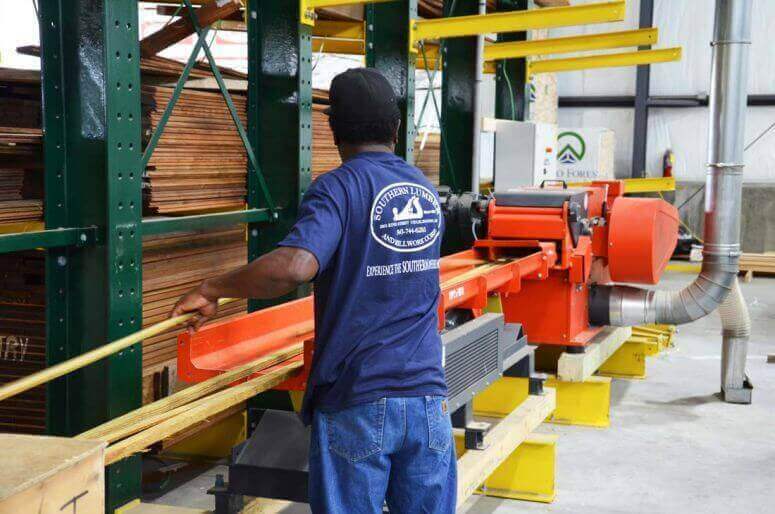 Located in Charleston, South Carolina, Southern Lumber produces structural lumber components for framing as well as interior and exterior trim, molding, siding, railing, and flooring. 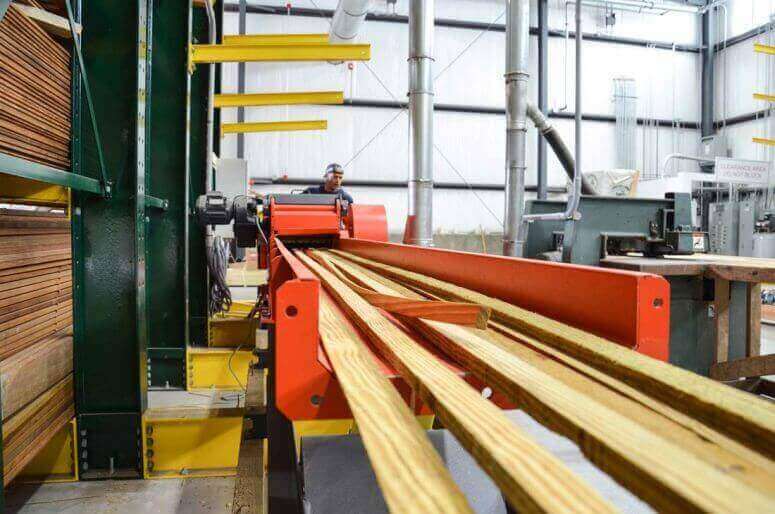 Southern Lumber offers both in-stock and custom options. In Charleston and the surrounding area, the demand for housing is high. The company estimates that 90% of its products go to residential housing construction operations. This includes some high-end homes located in places like neighboring Kiawah Island just off the South Carolina coast. They also have some celebrity customers as well, including a famous South Carolina-born singer and a well-known professional football player. 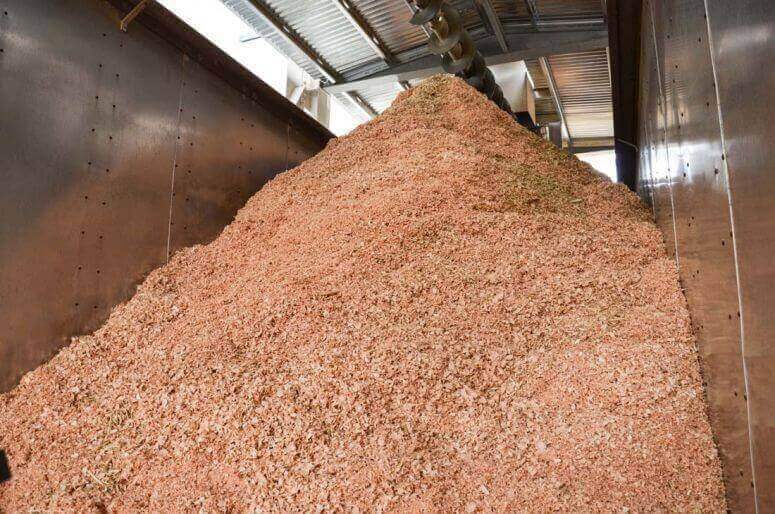 When they noticed they were hauling off loads of wood waste each week, Southern Lumber began researching options for ways to resell that waste and make a little extra profit. That led them to the purchase and installation of a WEIMA Tiger 400. The Tiger 400 is a horizontal shredder which is fed via a vibratory infeed conveyor. It is primarily used to grind 1” rip cuts that are left during the creation of 1”x5” pieces of lumber. Once these rip cuts are shredded, the grindings and dust are discharged through an air system and conveyed into a trailer. This trailer is filled and hauled off about once every three weeks. 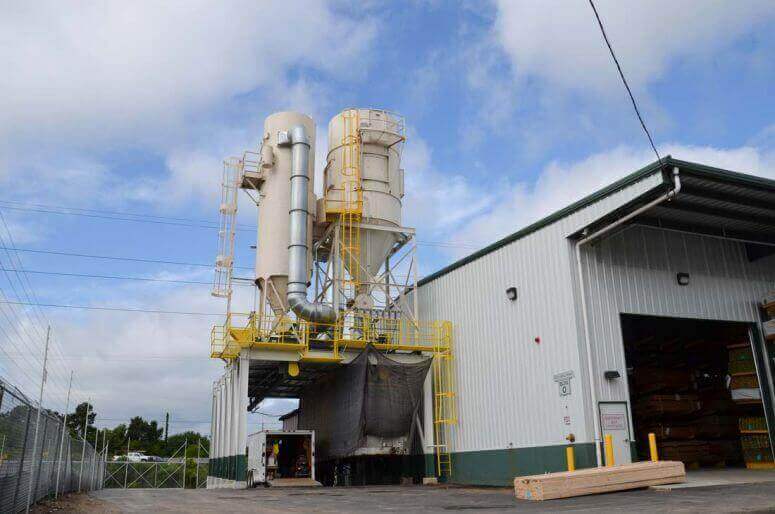 The shredded wood and wood dust is then sold to a local paper plant, which helps reduce the number of trees needed in the paper-making process and provides some return-on-investment for Southern Lumber.